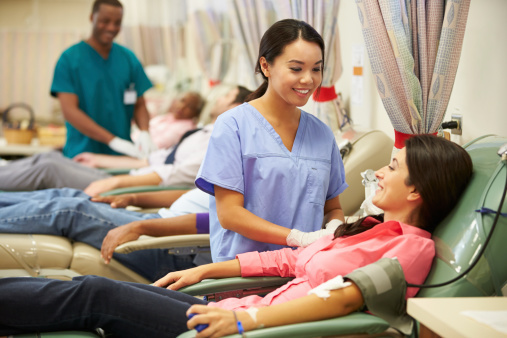 Emory Johns Creek Hospital will hold a blood drive on Tuesday, June 21 from 1 p.m. to 6 p.m. to support the American Red Cross. Christina Vick, lab director for Emory Johns Creek Hospital says blood donations often decline in the summer because many donors are on vacation. “By donating blood or platelets, donors can maintain an adequate supply for patients and avoid a summer shortage in blood supply,” says Vick. To schedule an appointment, visit redcrossblood.org and enter sponsor code: emoryjohnscreek or call 1-800-RED-CROSS (1-800-733-2767). All donors will receive a free T-shirt. The American Red Cross says it is important to eat well and drink plenty of water before and after giving blood. Tuesday, June 21 from 1 p.m. to 6 p.m.